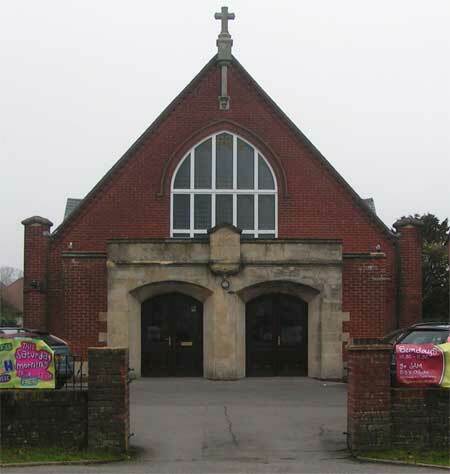 In 2014 Hedge End Methodist Church is celebrating 90 years in its current building. The first Methodists in Hedge End started meeting in 1857. The present building was opened in 1924. The main celebrations will take place over the weekend of 4th and 5th October. We will start on the Saturday with a presentation entitled “A potted History of 157 years of Methodism in Hedge End. This will be followed by an Anniversary Tea. Entry to the Tea will be by invitation or ticket only to make sure that we have got the right amount of food. We are pleased that several people who have previously been involved with our Church have already told us they are able to attend. We look forward to seeing them again. On Sunday we will be holding an Anniversary Service at our usual time of 10.30 a.m. We will be posting further information on this event nearer the time, and afterwards so you can see what we have been up to. On Saturday 7th June Dennis and Diane are taking part in a Sponsored Walk in Aid of Action for Children. The Walk is from Barton on Sea to Milford on Sea, and back again, approximately 6 miles. If you are interested in sponsoring them please speak to a Church Member to be introduced. More details of the Walk can be found at http://www.actionforchildren.org.uk/media/9013712/Step-Out-Walks-2014.pdf. The New Music Makers have several concerts coming up shortly. 7th June 2.30 p.m. at The Berry Theatre Hedge End. On Saturday 3rd May we will be holding our Spring Fayre. There will be many stalls including Plants, Books, Cakes, Crafts, Cards, Woodwork, Fruit Veg and Preserves, Gifts. We will also be holding some Raffles including one for a Hamper. Refreshments will be available, there will be an opportunity to play some Games. The Fayre starts at 10.30 a.m. and will go on until about 1.00 p.m. Admission is 50p per Adult and is free for Children. We would be delighted if you came to see us during the Morning. (The Pictures were taken at a previous Fayre). We started on Friday Night by Hosting this years Womans World Day of Prayer. This years event material was prepared by the Women of Egypt; next year it will be arranged by Women from The Bahamas. This event is arranged so that during the 24 hours an almost identical service is held in many places and countries in the World. We were pleased to be able to host this service, the hosting of which is shared between the churches in the Hedge End Area, so it tends to be our turn every eight years or so. We welcomed our friends from the other Churches to our Church on this occasion. Our thanks to everyone who organised or helped in anyway to make this interesting service possible. On Saturday we held our childrens event, “Jammy Church” which we hold every second Saturday of the Month. This is an opportunity to think about the Stories in the Bible whilst enjoying yourself doing Craft activities and Eating. This is mainly aimed at families, although the young at heart are very welcome. Saturdays Theme was the story of the Disabled Man who was lowered through the Roof on his mattress so that he got to see Jesus. When we entered the Church on Sunday we could see that some people had been very busy on Saturday. This was because the front few rows of Pews had been removed and replaced with Chairs. This should make it a lot easier for people with difficulties to sit down comfortably. We would like to thank the Church that wanted to get rid of their chairs and wanted some more Pews. It was good to be able to do a straight swop with them. We are grateful to the Church Council and everyone else involved in arranging this. The Sunday Service was taken by Deacon Brian Purchase on the Theme of Salt and Light. Some Volunteers got to light some Candles and everyone was given some Crisps to Eat. We were encouraged to think about the theme of bringing light to other people during our normal lives following the service. We were pleased to welcome the Girls and Boys Brigade to this service, and the District officer of the Girls Brigade who presented Gemma with her badge to become an Officer of the Girls Brigade. The Hedge End Service as part of this International initiative will be be held in Hedge End Methodist Church on Friday 7th March at 7.30 p.m. This years Service has been arranged by the Women of Egypt and the theme is “Streams in the Desert”. The speaker is Alison Judd, Area President of Methodist Woman in Britain. Light Refreshments will be served at the conclusion of the Service. All are very welcome to attend this service including men.